We sit down with co-founder of AB Concept, Ed Ng, to discuss inspiration, travelling, AB Concept's latest launch and what the the word 'luxury' really means. 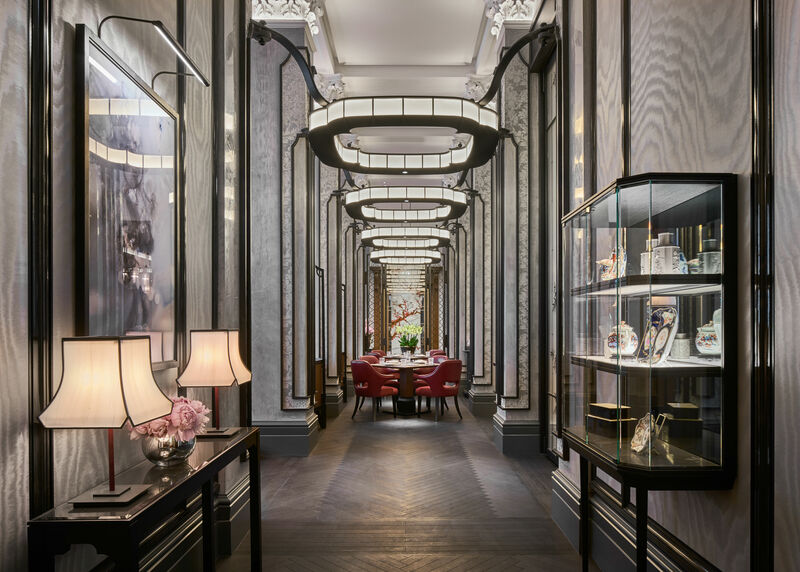 In the heart of the Four Seasons, Ten Trinity Square sits the Rotunda Lounge – a stylish circular room set beneath an ornate, art-deco domed ceiling. 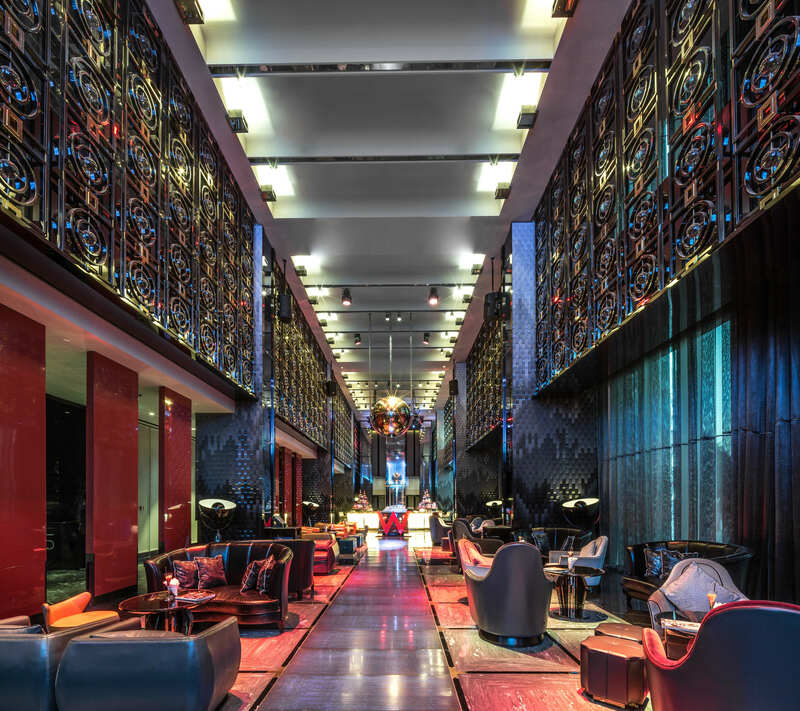 I am extremely aware of my footsteps on the polished, tiled floor of the lounge as I make my way to meet Ed Ng, one of the co-founders of Hong Kong based design firm AB Concept. Dressed in a smart suit, Ed greets me with a warm handshake. We immediately begin to discuss our awe-inspiring surroundings. “It was designed by Bruno,” Ed explains nonchalantly. He is referring to the renowned Parisian designer Bruno Moinard, who designed the space with colleague Claire Betaille. It is not the Rotunda that we have come to see, however. Instead, we make our way around one side of the room and through a corridor, coming to the entrance of Mei Ume: the hotel’s signature Asian restaurant. 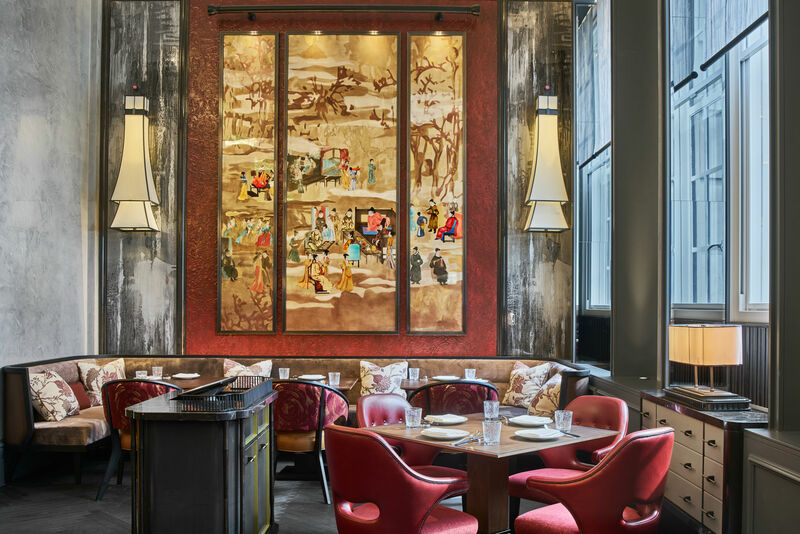 Currently hidden behind a glass panel dotted with exquisitely detailed plum blossoms, the restaurant was designed and put together by the animated Hong Kongese gentleman that walks beside me. Mei Ume, Ed tells me, is AB Concept’s first project in London. 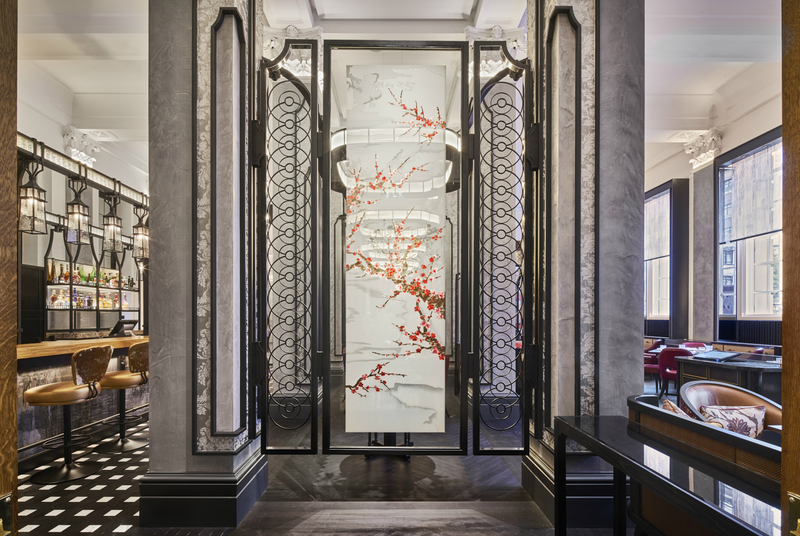 “As a first project in the city – in the Four Seasons, as a signature restaurant,” he exclaims, “it’s one of the best examples [of a debut] we can find.” We walk the length of the restaurant while Ed points out the blend of styles that feature in the room; Corinthian columns, mixing with Japanese silk bamboo art and vibrant red accents that symbolise ‘luck’ in Chinese culture. Ed gestures to the ceiling of the restaurant, as we stand by the large, street-facing windows. The lights, he explains, became one of the biggest challenges of the Mei Ume restaurant design when the heritage consultant mentioned they should avoid down lighting. “Now you’ve given me a restriction,” Ed continues, “I can think of how I will light the tables without down lighting – that’s the fun part. This is a very important part of design methodology- it’s how we are challenged to come up with a new solution.” Looking around at the lighting - subtly hidden at the top of the Columns; chic lamps dotted along the windowsills; round halo lights that section each table from each other - it’s clear that it’s a solution that paid off. The immaculate dining room is set next to a long, multipurpose marble bar. Here, guests can have a drink on golden stools, or watch a sushi chef at work, depending on their preference. 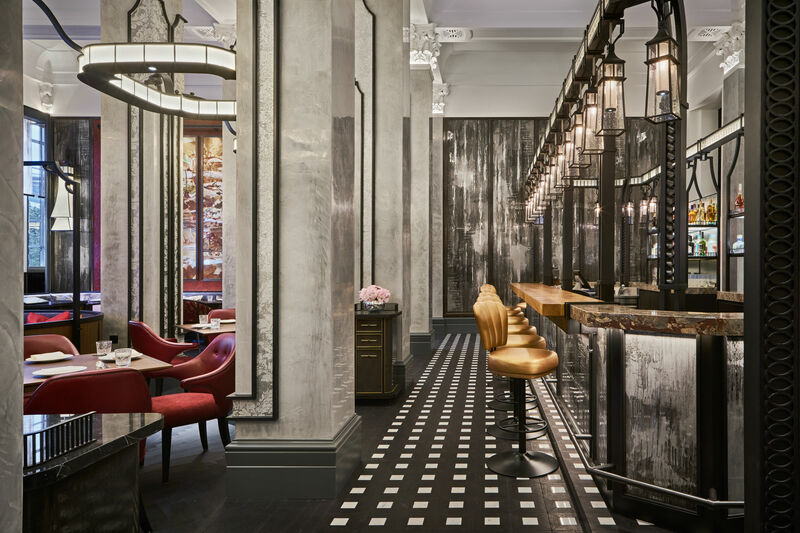 The bar is accented by unique hanging lanterns and bespoke glass panelling reminiscent of running ink. Everything works together seamlessly, but of course it does - this is not the first restaurant that Ed has worked on in the high-end hospitality market. Others include the Rosewood in Sanya, China; it makes me wonder, why is the high-end market where AB Concept feel most comfortable? “I’ve actually been asking myself that a lot,” Ed admits, “but I do think [that being] at this level gives you a very good advantage. If you design a restaurant, you want to make sure that the food is great and that the surface is immaculate –the success of the project is not just in the hardware. If the food is lousy or the service is bad, the project is dead, especially in highly competitive cities. If you have an amazing interior but everything [else] is not up to standard, sorry, it’s going to close,” he shrugs. I note that there is also another project Ed hasn’t yet mentioned – the launch of their exclusive rug collection with Tai Ping, Nephele (which, at the time of writing, took place in the House of Tai Ping’s Paris showroom on the 18th January). “We’ve been developing with Tai Ping for two years on this collection,” Ed comments. The remarkable collection is comprised of four unique, hand crafted rugs which represent a different time of day: sunrise, midday, dawn and midnight, from a birds-eye view. On that bombshell, our conversation comes to a close. 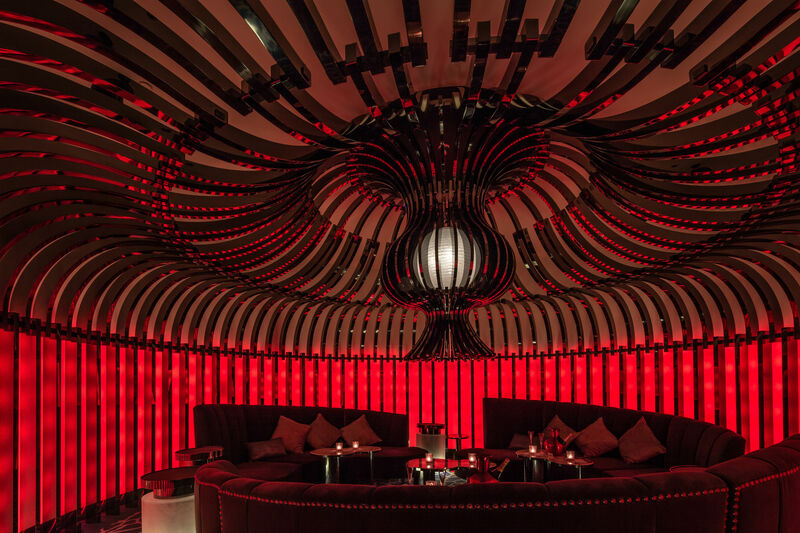 As the co-founder of an internationally renowned high-end creative studio, Ed Ng has an incredibly busy, jet-setting schedule, and London is only the first stop on his European tour. Leaving the Four Seasons, Ten Trinity Square, I consider what has been most memorable about the day; not the beautiful Mei Ume restaurant – but the intelligent, passionate designer behind it. This interview took place on Monday 15th January. At the time of writing, the launch of Nephele has taken place in Paris, with Ed Ng and Terence Ngan attending – the second leg of Ed’s European trip.